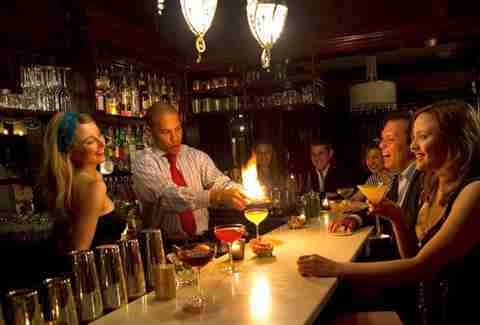 Your night out wouldn't be complete without a cocktail -- our picks for DC's best cocktail destinations are below, from mad-scientist mixology, to underground speakeasies, to rooftop terraces. With more accolades than can fit in your dad’s trophy case, cocktailing mecca Columbia Room continues to bring it. 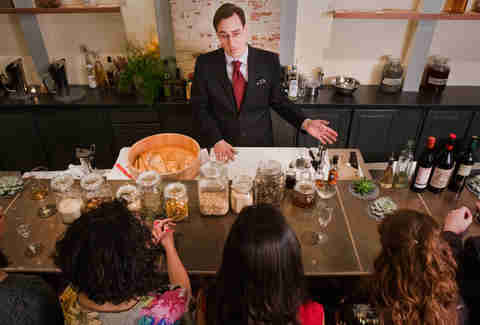 Snagging a reservation for their drink tasting menu can be tricky, but take heart in the fact that you can also raise your at-home cocktail game and sign up for one of their classes -- though they still won't turn out nearly as good. 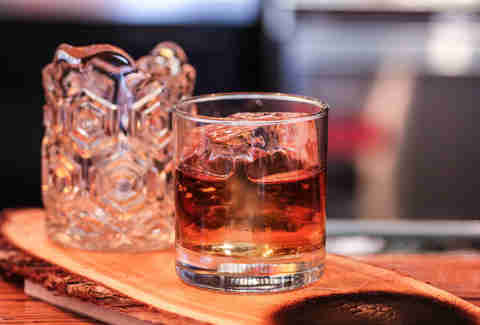 This Alexandria speakeasy with a '20s vibe (that's 1920s, though 1720s would have been a bold move) is still moving the bevvy that helped put them on the map -- the Smoker's Delight. Four different types of tobacco are steeped before being hit with sugar, bourbon, honey and lemon. Even if Marlboros aren't your thing, you'll like it. Back in high school, cheftender Bryan Tetorakis was carving craziness at National Ice Carving Association competitions while you were playing NHL '94 (you stand by your decision… Roenick was unstoppable). Try three of his elixirs paired with three bites at his four-seat bar in the back. 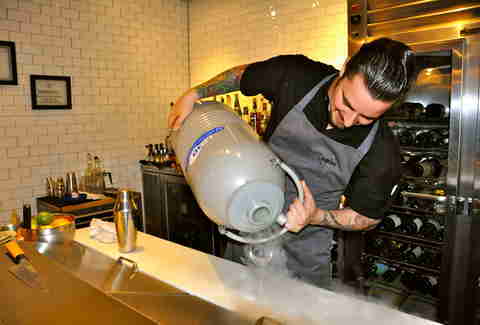 Green Chartreuse and liquid nitrogen are two of his secret weapons. Everyone’s talking about Bar Charley’s The Stepdad. Why aren’t you? 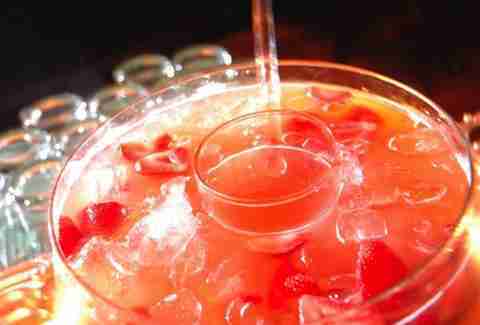 The drink is more DC than Jayson Werth will ever be. Fortunately, he makes $16.5 mil so he can afford two Stepdads. Check out the fire-based wizardry that goes into making one right here. Like a real speakeasy, it’s hard to find even following the little blue dot on your smartphone. If you find it, act like a regular and go off-menu -- they'll know how to take care of you. But mind the rules: a two-hour limit and absolutely no standing. 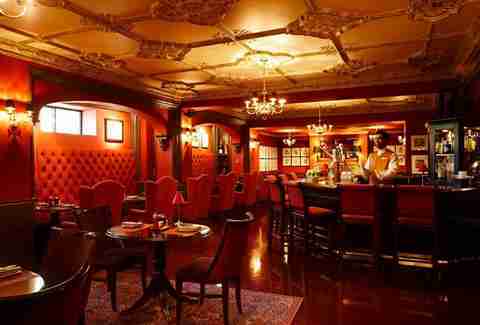 For a little historic elegance, step inside the Hay-Adams Hotel's lauded drinkery. Stare at the caricatures on the wall repping Washington's elite. Try not to stare quite as obviously if one of them happens to be drinking next to you as you sip your David's Washingtonian (potato vodka, limoncello, Chambord). The view is somewhat built into the drink price at this rooftop hotspot, but it's worth it to admire the majesty of DC, and the scaffolding on the Washington Monument. 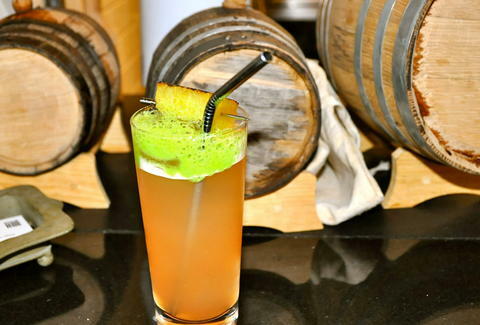 Warm your insides with a Rock and Rye, made with… rye, along with Jamaican rum, orange, lemon, and spices. Four score and several rounds ago you were enjoying your first Gettysburg Address at Lincoln. 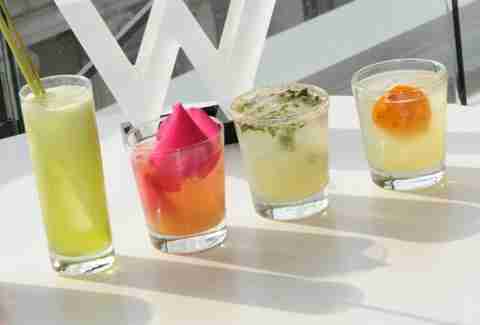 Ready to move on from their signature cocktail? 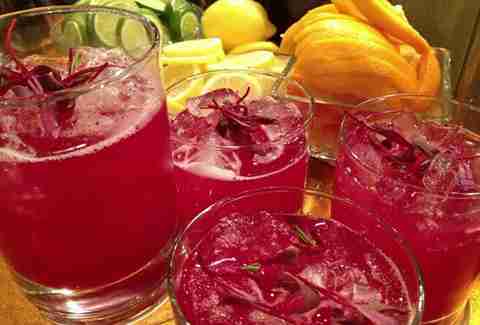 Grab a group and try the Emancipation Punch -- ginger syrup, lemon sour, homemade beet puree, and aromatic bitters boozed up with botanical vodka and acai liqueur.